From open seas to calm, protected rivers, Boothbay Harbor, Maine is one of the best destinations for kayaking. 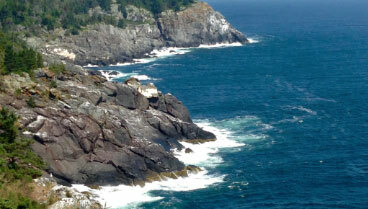 Our region offers a relaxing, scenic getaway complete with spectacular wildlife, islands, and historic lighthouses. And whether you want to take a guided tour or paddle out on your own, the staff at Tidal Transit Kayak Company will help you make the most of your vacation. Here are just a few of the services they offer. An afternoon with Tidal Transit Kayak Company is a great way to experience Midcoast Maine! For more information on water activities like boating, kayaking, SUP, and more, download our free Vacation Guide. Tidal Transit Kayak Company has been offering kayak tours in Boothbay Harbor since 1988. Each tour is led by at least one Registered Maine Guide, and each guide is familiar with the history and ecology of the area. (They’re also expert paddlers!) Feel free to sign up for a half-day, full-day, or multi-day excursion depending on your schedule. If you’re interested in learning more about Maine lighthouses, this tour is for you. You’ll meet in the morning and paddle out past the moorings to Burnt Island Lighthouse. Built in 1821, it’s the second-oldest surviving lighthouse in the state and offers spectacular views in all directions. Stand on the bluff and look out to sea, then turn around and admire the fleet of lobster boats coming and going from the harbor. Osprey, herons, eagles, and harbor seals are just a few of the fascinating species you’ll see on the Wildlife Tour. 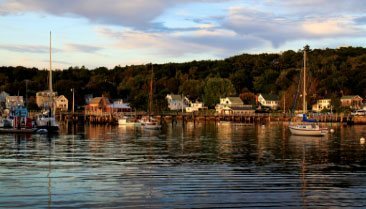 This adventure takes you down the peaceful Sheepscot River and is a great alternative to the hustle and bustle of the harbor. You’ll even stop at Ram Island to soak in the views and enjoy a refreshing snack. Sunset is the most beautiful time of day to be on the water. You can paddle out toward the islands and watch the porpoises come alive at dusk, or admire the windjammers as they head back to their berths. When it’s time to make your way back to shore, pull out your camera and snap a few photos of the sunset over the pines of Southport Island. This full-day trip takes you through the islands of the Sheepscot River and explores part of the Maine Island Trail. Along the way, you and other tour-goers can spread out a picnic lunch and watch the fishing boats out in the distance. Damariscove Island is a historic, uninhabited isle that’s five nautical miles from the mainland. It’s a great place to go for a little peace and quiet, where visitors can enjoy hiking, birdwatching, and wildlife viewing. Sign up for the Outer Island Tour and spend a day exploring the island’s coastal tundra and miles of trails. We promise you won’t regret it! Note: This tour includes a picnic lunch and is subject to sea conditions. There you have it! You are officially an expert on Tidal Transit Kayak tours. After a fabulous day on the water, return to our relaxing bed and breakfast and reminisce. 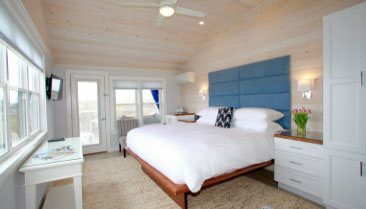 Our property is an easy walk from downtown Boothbay Harbor and features beautiful guest rooms, great amenities, and spectacular water views. 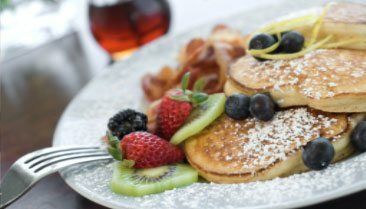 We even offer a delicious gourmet breakfast each morning! So what are you waiting for? Check our availability and book your stay today. We look forward to having you! Find out how you can save on your trip to Maine with our vacation specials and packages.